Welcome listeners new and old! 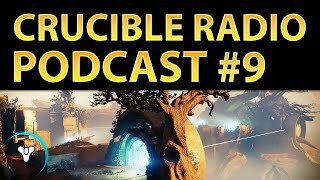 After an amazing week, the guys get back to basics and do a little introduction to explain the goals of Crucible Radio to all the wonderful people that might be tuning in for the first or second time. 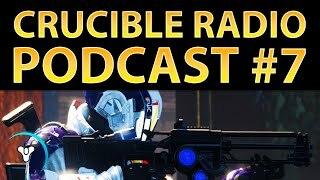 As is tradition, personal progress and stats are discussed to give the listeners a sense of how the hosts have been handling the Crucible as of late. This week is all about the fans – the guys answer questions from their followers on Twitter, and even introduce an exciting contest with a Redbull code on the line! Tactical genius Fizzor joins the discussion to bring a unique perspective to the Crucible. Fizz provides some incredible insight on positioning, set ups, and learning the spawns – all of which can be seen in action on his YouTube channel. Make sure to follow him @DenialFizzor to stay up to date.